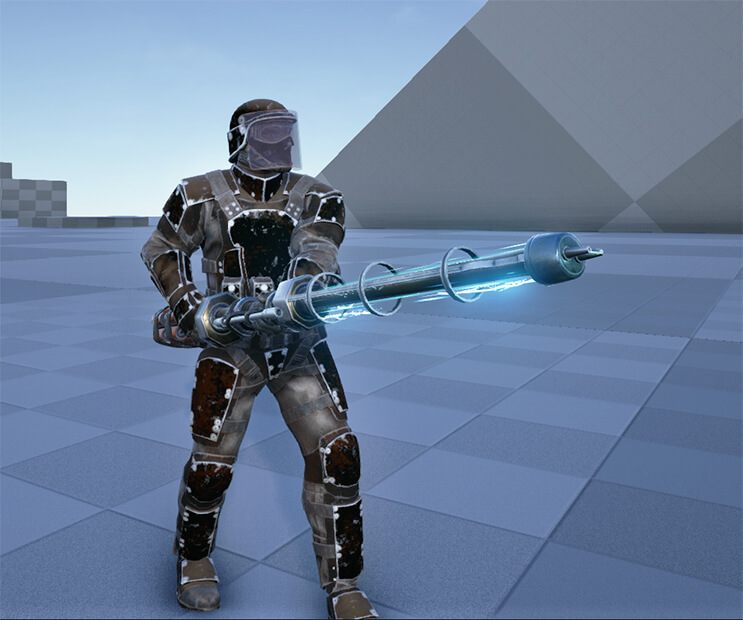 As the patch approaches, Drake has revealed two new screenshots on some of the upcoming changes: one of the Gallimimus and one of the SWAT armor (including the electric prod). You can check them out below. 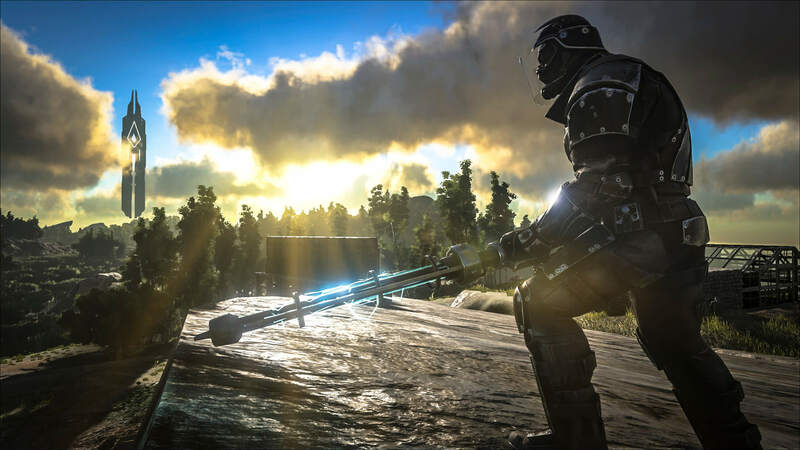 Update: more screenshots of the armor and Gallimimus have been released, scroll down below to see it including a spotlight video. Also the patch has been released, so for more information and screenshots head on over here. 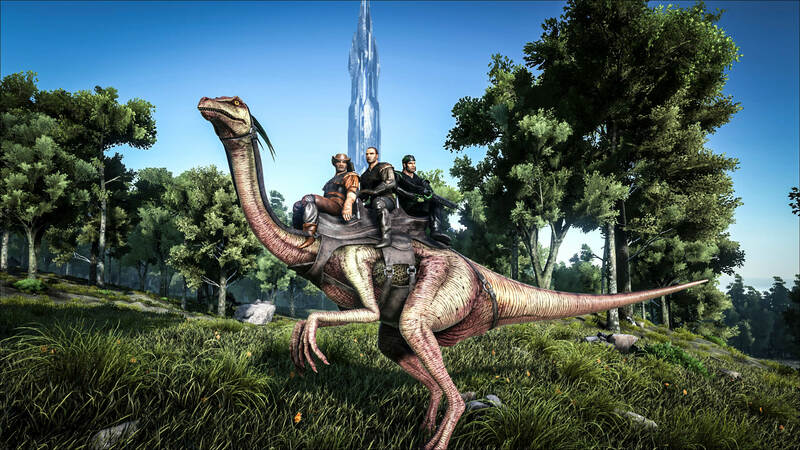 The Gallimimus is a lot bigger than we initially expected, and we can now see how you can easily fit three people on it. 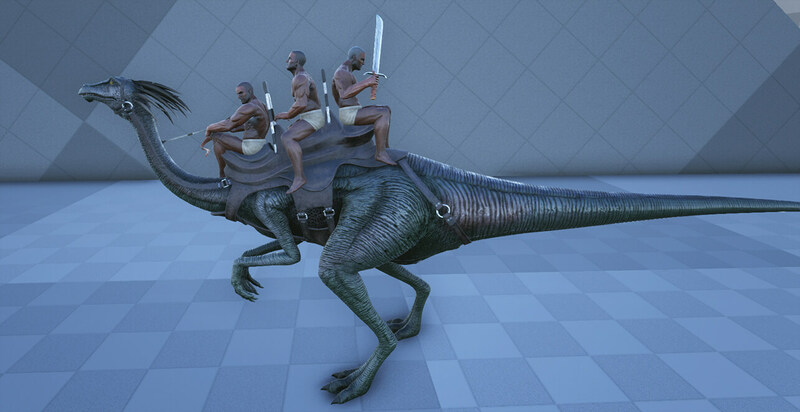 Also note that the saddle allows for equipping and using weapons! This means that one person can ride the creature, while the other two can use their weapons. An advantage of the last person facing backwards, is that you can run from enemies / hostile creatures while he is able to shoot from it. Honestly, this is not what we had in mind when we heard “SWAT Armor”. The helmet looks oke, but the rest of the armor looks a lot like flak pieces strapped on some clothes (we actually expected the chestpiece to be a bit more badass-looking). Maybe it looks better when it is actually in the game and we can compare it to other armor, so who knows. We’re also interested to see how the view is in first person, as the helmet contains a see-through visor. Hopefully it will be the same idea as the riot shield. Also note that it is holding the upcoming electric prod; ready to stun everything in its vicinity. From this angle, the SWAT armor looks a lot better than the one in the dev kit image. So we will have to wait for the patch release to see if it is actually looking better than we thought! The spotlight video has also been released. You will not only see the Gallimimus running around, but also the electric prod in action. In the spotlight, a user was knocked out by a single hit of the electric prod, so it seems it does quite a bit of torpor damage. Next Post: Patch v233 – What’s new?